Mario Kart x Little Big Planet, and we mean that in the best way possible. 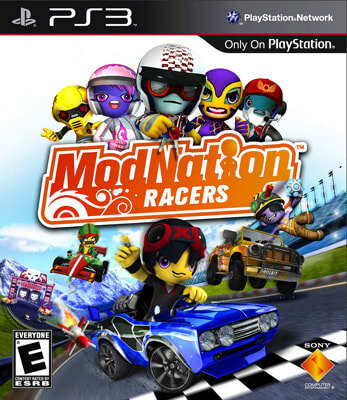 Sure, it doesn't have the same wealth of power-ups as MK, or the unrelenting sweetness of LBP—but at the same time, we've never seen a racing game that had such level-editing potential or was so innocently awesome. If developers United Front are half as creative with their upcoming open-world action title, True Crime, then we may have a new Dev to Watch. Which'll be nice, because we're a little tired of Dev Patel.